Chapman Freeborn has been an active member of the International Air Cargo Association (TIACA) since 2006. The trade body promotes, supports, informs, and connects every element of the global air cargo supply chain. 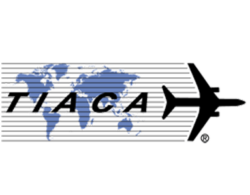 TIACA represents all the major segments of the air cargo and air logistics industry – combination and all-cargo airlines, forwarders, airports, ground handlers, road carriers, customs brokers, logistics companies, shippers, IT companies, aircraft and equipment manufacturers, trade press, and educational institutions.